- Bonnet cleaning. 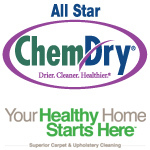 Price is based on the basic cleaning process and does not include steps or rugs. - Minimum charges apply. Not valid with other offers.